PARIS HEART - Limoges Boxes and Figurines - Limoges Factory Co.
Paris is considered to be the most romantic city in the world. 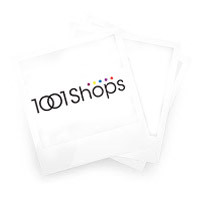 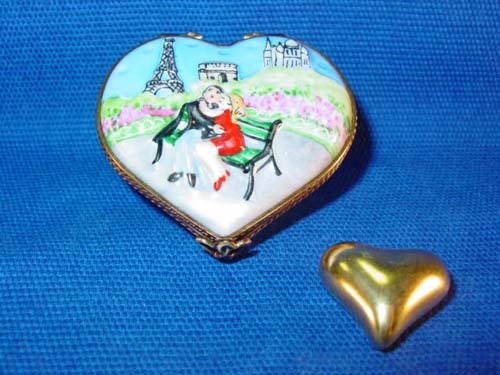 So presenting your partner with something that carries a Parisian scene will be most romantic. 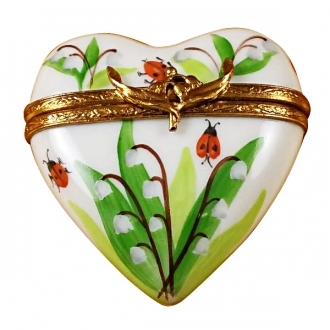 This heart shaped Limoges box is painted with a lovely garden with the Eifel tower as the backdrop. 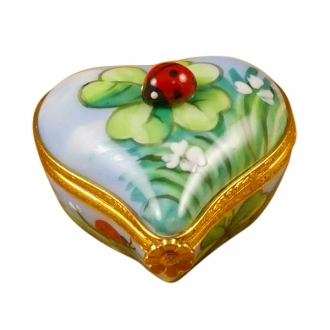 The picture of two lovers in a romantic abandon enhances the romantic aura of the Limoges box. 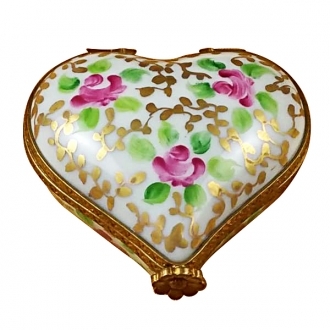 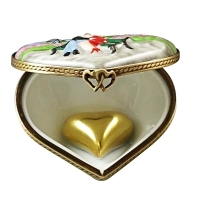 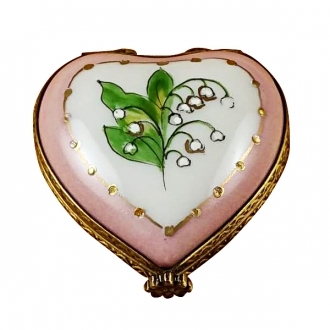 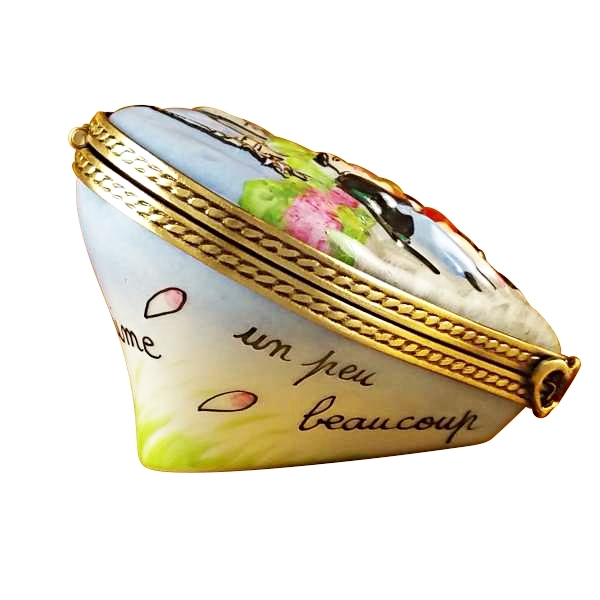 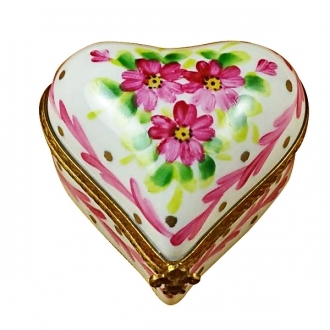 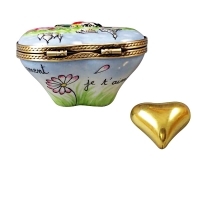 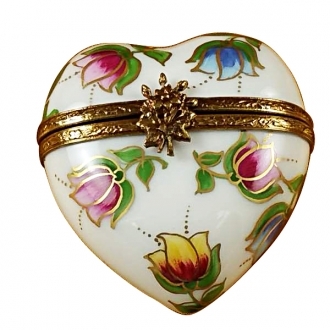 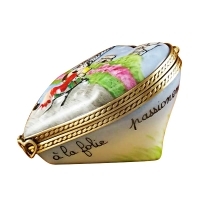 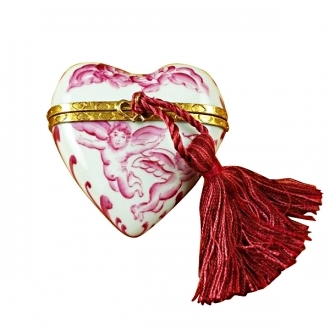 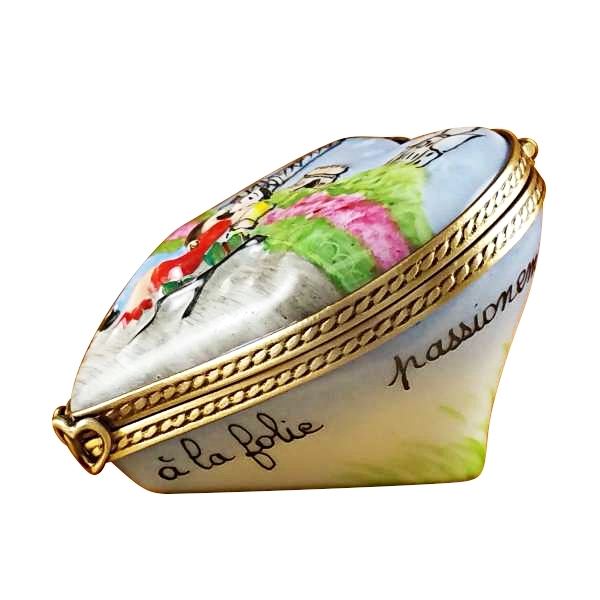 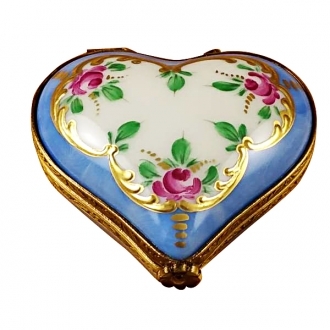 Getting a small gift from you in this Limoges porcelain box will win your dear one’s heart. A removable golden heart is also provided with this.